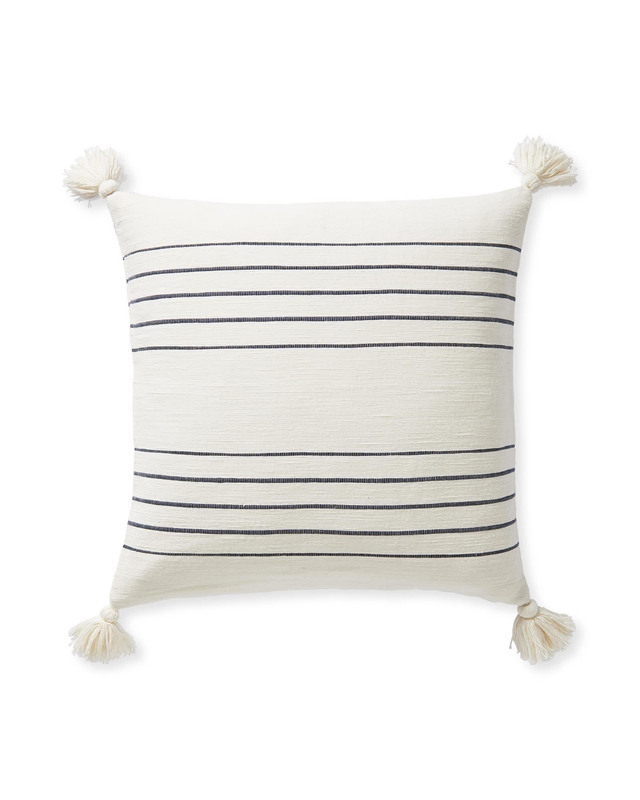 Del Mar Pillow CoverDel Mar Pillow Cover, Navy alt="Del Mar Pillow Cover, Navy"
Print We’ve always loved a good stripe. Add a tassel and things really get interesting. 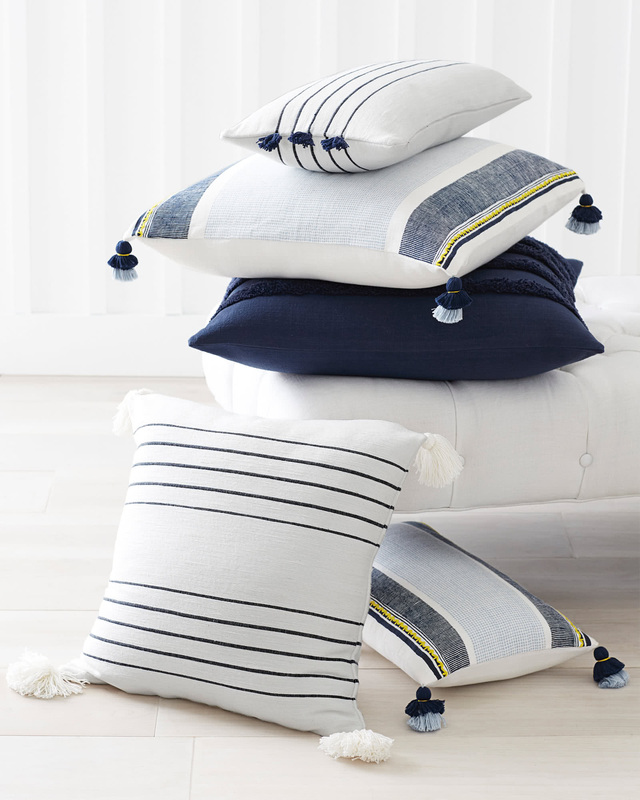 A washed cotton base makes the pillow even cozier and relaxes the stripes for a laid-back, coastal look. 100% washed cotton for added softness. Yarn-like tassel accents, with white tassels on the corners of the square shape and color-matching tassels for the rectangular at the ends of the stripes. 12” x 21” and 20”SQ.